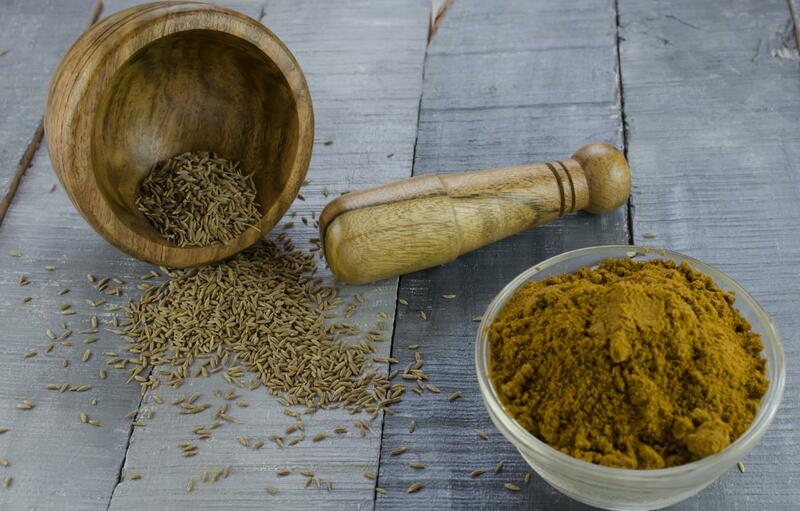 Home » The Best Cumin Substitutes to finish the Perfect Meal! The Best Cumin Substitutes to finish the Perfect Meal! If you’re making something that calls for cumin and don’t like it or have any on hand, don’t sweat it. 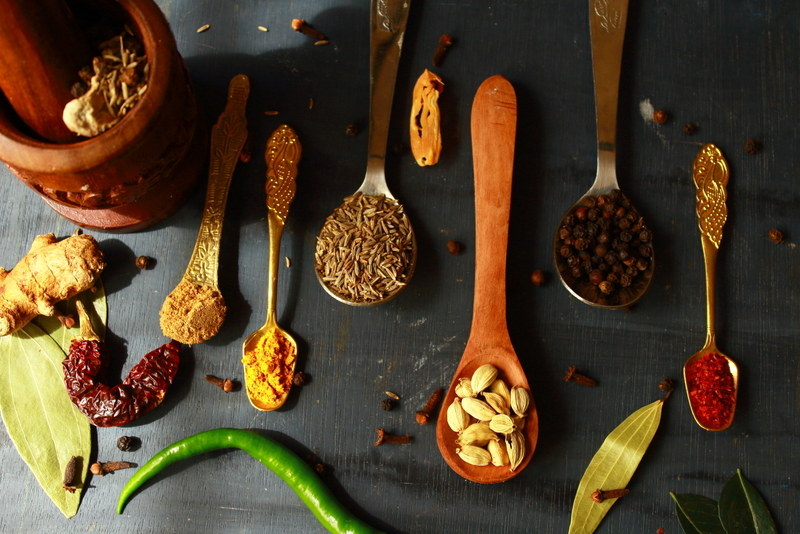 There are many spices that can replace cumin, and you probably have at least one of them. One of the most commonly used spices in the world, cumin has a distinct aroma and taste. Many people love it, and some people can’t stand it. If you’re the latter, then there are spices you can use instead of cumin that will still compliment the flavors of the dish. Whatever your reason for needing to find a cumin replacement, read on for the best cumin substitutes. Before you get started, pay attention to whether the recipe calls for whole cumin seeds or ground cumin. If it doesn’t specify, then you can assume its ground. Typically, if a recipe calls for whole cumin, then it’ll ask you to grind it anyway. Grinding fresh seeds right before adding them to a dish delivers a more potent flavor, as ground spices lose their intensity over time. The easiest way to grind seeds is in a coffee or spice grinder. 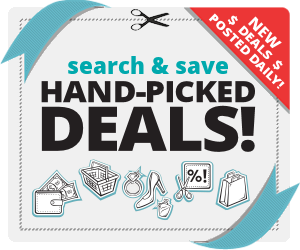 You can also use a traditional mortar and pestle. If you don’t have a grinder or mortar, then you can use a sharp chef’s knife or a small saucepan. If you’re using a knife, spread the seeds evenly on a cutting board, hold the flat part of the knife over the seeds, and then press down on the blade to crush the seeds. With a small pot or saucepan, spread the seeds evenly on a hard surface, and press the bottom edge of the pot over the seeds, slowly rocking it back and forth. You can count on getting about ¾ of a teaspoon of ground cumin from one teaspoon of whole cumin seeds. Below are the best substitutes for cumin. As with any spice replacement, the flavor won’t be exactly the same; however, each of these cumin replacements will provide a similar flavor. There are also a couple of spices that you can use to replace cumin if you don’t like its flavor. 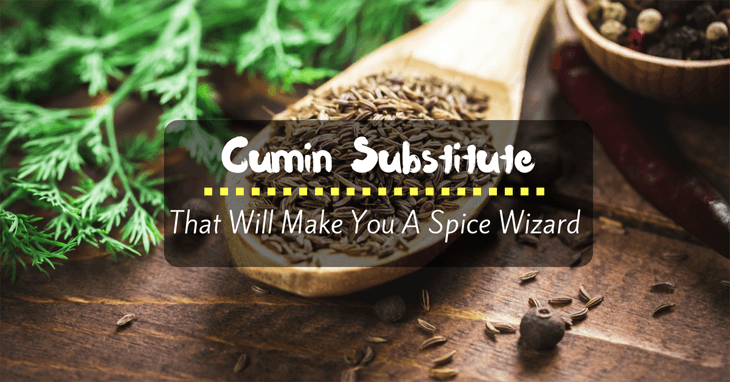 Unless otherwise noted, you can replace cumin in a recipe with the same amount of the substitute spice, keeping in mind that you can always add more but can’t take away. Cumin is in the parsley family and can be replaced with either caraway or coriander. Both are also in the parsley family and offer flavors similar to cumin. 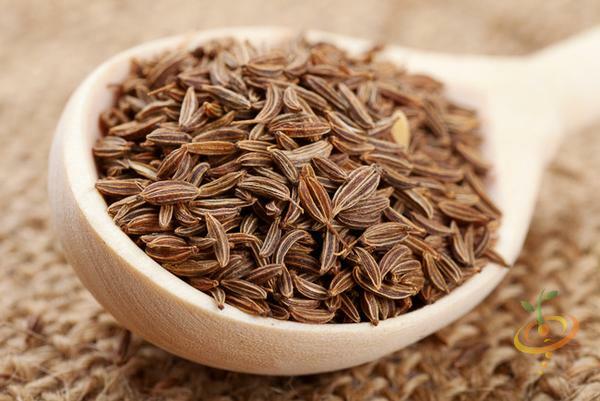 Often called Persian cumin, caraway seeds are an excellent cumin replacement. 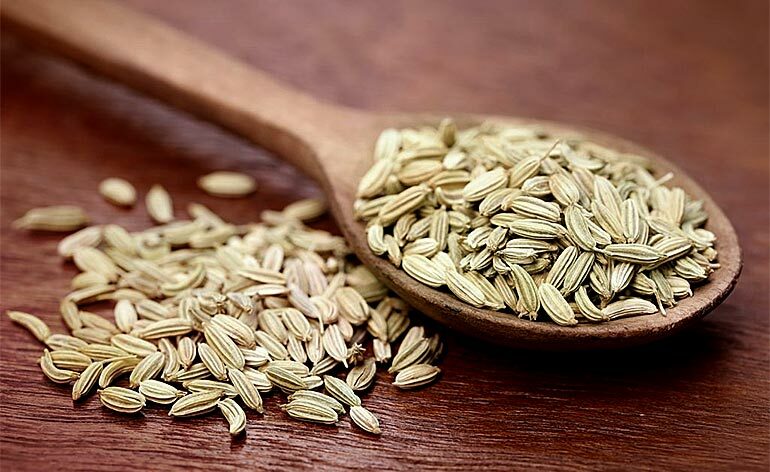 The flavors and aromas are similar, with cumin having a touch more heat and caraway having slight fennel or anise flavor. Caraway will go well in dishes that call for cumin. 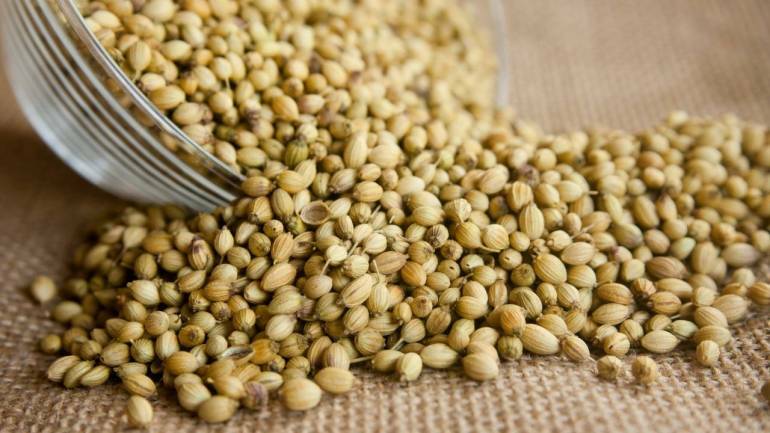 The dried seed of the cilantro plant, coriander is milder than cumin with a more earthy flavor. It doesn’t taste exactly like cumin, but it’s very similar. It will work well in any dish that calls for cumin. You may want to add a bit more coriander than you would cumin if you want to intensify the flavor. Chances are you have one of the following spice blends in your kitchen, and each contains cumin. Because a blend contains other ingredients, you’ll want to use less than the recommended amount of cumin. Start with half, and then add more to taste. These blends will alter the flavors of a dish; however, depending on the style of cooking you’re doing, they’re good replacements for cumin that will positively compliment a dish. This sweet, earthy, and lightly spicy Indian blend typically contains cumin. It also usually contains some spices that are associated with sweet flavors like cinnamon, nutmeg, and cloves, so keep that in mind when you’re using garam masala to replace cumin. Traditionally, curry powders contain quite a bit of cumin. They also usually have turmeric, ginger, coriander, and cinnamon. If you’re making something with Indian or Middle Eastern flavors, then curry powder is a good substitute for cumin. Most chili powders have cumin in them. It’s a great replacement in dishes that have some heat, especially Spanish, Mexican, South American, and Caribbean dishes. Chili powder packs a bigger punch than cumin alone, so keep this in mind if you use it as a replacement. Taco seasoning usually contains cumin. You can use it to replace cumin in the same ways you’d use chili powder. If you’re going to use a spice blend to replace cumin, then pay attention to the other ingredients in the mix. Your recipe may also call for some of them, so you’ll want to add less of anything that’s already in the blend. Cumin has a distinct nuttiness, earthy heat, and a touch of citrus, which is a flavor combination some people adore and some people can’t stand. If you’re looking for a cumin substitute that will compliment a recipe that calls for cumin without adding the same aromas and flavors, try one of the following spices. Use a two-to-one ratio, so replace one tablespoon of cumin with half a tablespoon of the replacement spice. If you like and want to enhance the flavor, you can always add more. A member of the ginger family, this versatile and nutritious spice is a major player in Indian curries, and it’s what makes yellow mustard yellow. Turmeric will work well in recipes that call for cumin without adding the same pungent, spicy flavors. Much sweeter than cumin, fennel seeds have a licorice flavor and won’t work well in all dishes as a cumin replacement, but they do work well with most fish and Italian dishes. Depending on what you’re cooking and why you need to replace cumin, using one of the suggested spices to replace cumin in a recipe will not let you down. Chances are, you have a least one of these spices or blends in your kitchen and can get cooking. Pin for Later: The Best Cumin Substitutes to finish the Perfect Meal!